Corn futures had another negative night with both the September and December contracts reaching new contract lows. Corn appears to have gotten through the important growing month of July relatively unscathed and forecasts are now anticipating beneficial conditions for pollination, with the trade effectively booking it in as a monster crop a few months out from harvest. Hedge funds, a proxy for speculators, have reacted to this outlook by now collectively holding a record net short position in Chicago corn, i.e. more investors are predicting a fall in prices by holding short contracts, which profit when values fall. This in of itself may limit further losses as the market can be seen as being oversold and other investors being wary of a correction in the market. Wheat, which often takes its lead from movements in the corn market, has managed to weather the price collapse of corn, with the spread between wheat and corn contracts at its highest level of several months. Wheat, which also currently holds a large net short position, is being supported by consistent demand from export markets, with Jordan being the latest to tender for the grain and expectations Japan will enter the market soon. In addition to this there are concerns for the availability of quality protein wheat in the market. New crop soybeans continued its recent decline, however the lateness of the crop and cooler temperatures potentially limiting the advance of the crop points to the market heading in to a period of volatility. Cotton looks to be on course for another quiet week in the market, with the main focus now looking at the large invert between the December and March contracts and how this will impact the market going forward. Longer term there has been some discussion about a change in Chinese domestic cotton policy. This will see the government move from the Chinese Reserve absorbing huge quantities of domestic production at a guaranteed minimum price, which in recent times has been substantially above international prices, to a direct subsidy system similar to that in operation in the US. The talk is a trial will be rolled out in the large cotton producing Xinjiang province, however nothing at this stage has been approved. The view is that this will be bearish for NY futures as it will continue to maintain the huge amount of global stocks which is weighing down on the market. Domestically, faba beans is the strongest performer of new crop pricing with delivered Narrabri prices at $400/mt for No. 1 grade and a $20/mt discount to No. 2 grade. 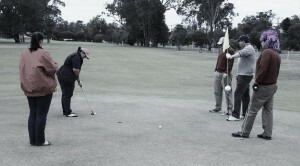 Goondiwindi delivery is a $5 discount to Narrabri. If you think your production is looking secure at this stage and these prices are of interest please give us a call. New crop wheat prices have steadied after falling over the last fortnight to now be holding in the low $280s Newcastle and Brisbane track. Premiums are being offered for certain sites in the North up to $5 over our generic track bid on the bidsheet. Similarly new crop barley is strongest for delivery to sites in the north, with prices better than $250. Sorghum looks like it is levelling out also after falling sharply over the course of the month. Moisture remains an issue for most growers, and homes for this quality of grain are limited. This is how hard we work for you! Marketing grain and cotton keeps us up all hours of the day. Here we are pulling an all nighter to make sure all the t’s are crossed and the i’s dotted on your contracts! JUST KIDDING. 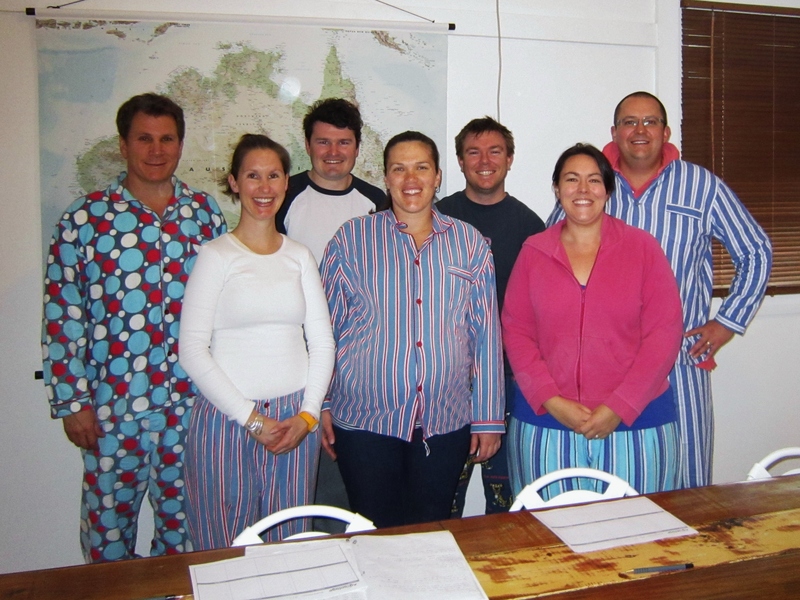 We thought we’d be lazy last Friday and have an office PJ day for bit of fun. It’s amazing how donning pyjamas makes us all look a little bleary eyed despite it only being 10am. 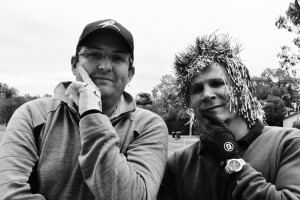 While our attire made us feel very lazy (albeit comfy) we did manage to get a lot of work done. Now you’ll be able to picture us in all our sleepy glory when you call us outside of general office hours! As we approach the end of July fears of hot and dry conditions having an impact on the performance of the US corn crop have now subsided, with much of the huge crop in the ground coming through the important growing period unscathed. The potential for yield loss early in the month saw the corn market strengthen with a weather premium, however as the outlook has changed to more benign temperatures with regular rainfalls the market has been in a steady decline, with the drop in prices overnight reaching new lows for the September and December contracts. Soybeans also had a negative night, with the August contract, representing old crop stocks, moving limit down as the market reacted to rumours China will be unloading their reserve stocks on the their domestic market, reducing the demand for the limited remaining stocks from the largest importer. The November contract, representing new crop, can be expected to experience some more volatility over the coming month, as August is important in the development of this crop where weather will again take centre stage. Wheat, on the other hand, only managed to make slight losses, with export demand providing support. Egypt walked away with 240,000mt from Black Sea countries overnight, on top of the 400,000mt bought by Algeria recently, while Iraq currently has a tender out. Cotton has managed to make some slight gains, albeit still within the well-established trading range of the last several months. Buying from mills is providing support around the 82-83 USc/lb mark, and disappears as prices approach 86-87 USc/lb. The increase in prices was still an achievement in the face of a stronger US dollar, and results from the Chinese manufacturing PMI coming in at its lowest level in 11 months at 47.7, dropping from 48.2 last month. The expectation of a weakening Chinese economy, in association with some positive economic data from the US and strength in the US dollar, has seen the AUD drop almost 1.5 cents overnight after showing some resilience over the last week. Domestically, the strongest performer in the market is new crop faba beans, with prices delivered in to Narrabri or Goondiwinidi holding at $400/mt for no. 1 grade and a discount of $20 for no. 2s. Fabas have benefited from recent rains after a slow start to the early sown crop, with many growers taking the opportunity to lock in some of their production at these levels. On the other end of the scale, sorghum prices have had a sharp drop after the market peaked earlier this month. Homes for borderline moisture are available ex farm, with prices Narrabri north and around Moree around $230-$235 ex farm. Old crop wheat prices seem to have plateaued at current levels after weakening over the last few weeks, while new crop prices are now holding in the mid $280s for Brisbane and Newcastle track. It is worth considering new crop pricing ex farm for growers in the north of NSW, with a flat price of SFW1 attracting $235-$245 depending on location offering an advantage over taking stocks in to the system and receiving up to $50 discount for similar quality grain. Please call the office with any enquiries. Weather remains the key to the downside pressure building in the grains space. Corn has been heavily oversold by the funds with an expectation that rain forecast in the next 5-7 days across most of the corn belt will extend the successful pollination period for most of the crop. Soybeans are also benefiting from continued good growing conditions, but demand is continuing to outstrip supply pushing prices higher. The crop is heading into the key pod setting month of August in good moisture conditions, with the exception of Iowa which remains a little off the ball for now. Wheat made its lowest close in 3 weeks of the back of increased supply from the EU and Black Seas regions at significant discounts to the US offers. Continued improvement in the corn crop is expected to put pressure on wheat prices as corn returns to domestic feed rations in the US. The cotton market has rebounded from the lows of last week, where mill buying supported the markets in the 83-84 US cent mark. The US crop is continuing with mixed fortunes. We have heard that significant numbers of hectares are being written off for insurance in West Texas, due to drought, whilst on the other side of the country, crops have been inundated by wet weather resulting some expected crop damage. The Aussie has jumped up to around the .9250 level following the Peoples Bank of China policy revision yesterday regarding lending to small and medium size businesses. This loosening of lending policy is expected to increase demands for imports of raw materials into China from key trading partners, of which Australia is a major contributor. New crop prices are continuing to hover around the $290’s Newcastle and Brisbane track, with old crop wheat prices continuing to hold a $10 – $15 premium. Homes to place sorghum are become very hard to come by, making selling from the bulk handler, or ex-farm extremely difficult, with high moisture sorghum even harder to market. We have interest in new crop faba beans, both ex-farm and delivered packers in both NSW and Queensland and would like to take offers from any keen sellers. Chickpea demand has continued to be non-existent during the Ramadan period. Traders have been telling us that new crop prices for chickpeas will be significantly lower than last harvest as the subcontinent work through a massive oversupply. Weather in the US appears to have turned against us, as quick as a Jonathon Thurston left foot step, and it has turned an outlook which provided us with a glimmer of hope (Maybe NSW can win a State of Origin), to one that is considerably less favourable (NSW cannot win a State of Origin). US Soybean and Corn crops look set to benefit from a now improved weather pattern, which looks set to provide reasonable precipitation across most of the growing area during their key reproductive stages. Not even the expectation of good weekly sales into China to be confirmed tomorrow could provide any upside, with pressure from other origin corn coming to market at a significant discount. The wheat market could do little but follow its row crop cousins, with the winter wheat crop harvest closing in on completion. Crop damage across China could now total as much as 10mmt, which provided some support to the market. China has also put a tender out for 500kmt of Australian wheat overnight, which should help to support local prices. The cotton market took reports of rain across most of West Texas as gospel, but with a 40-50% of the crop in the state abandoned, or sitting on the edge, the benefits of 20-30ml of rain just don’t seem to stack too highly, without continued follow-up events. Mill buying has been very limited on the open market, with the Chinese state reserve daily auction offering good quality international growths. These reserve auctions look set to wind up at the end of the month, as more Chinese domestic production starts to come to market. Ecom’s prices today are $470 for current crop & $464 for 14 crop. Our dollar has been teetering on the words of Mr Bernanke as he enters his second day of congressional testimony, trading another 150pt range overnight. Most are looking to the comments made overnight, and today as a key direction for the next Fed meeting to start in a fortnight on July 31. Mr Bernanke’s opening comments of the QE program not being on a “preset course” seem vastly different to those of only a couple of weeks ago. Local prices have come under pressure from a weakening futures prices, and stronger currency markets. New crop remains around the high $280’s track Newcastle and Brisbane, however prices in the $290s can be found for certain sites in the north which attract a premium. Old crop prices have remained firm, but a way’s short of the prices we saw at the start of the month. Sorghum with moisture out of spec, is now proving harder to find homes for. High protein wheat (above 14% protein) has been in demand into the packers in Narrabri, at prices close to or better than those of harvest time. The canola market has been quiet following improvement in the international oilseed market. For growers with new crop faba’s, we have seen prices jump into Narrabri to the $370’s for #1’s, with discounts to the number #2 quality grade dependent upon variety, whilst the chickpea market is languishing under limited enquiry whilst the subcontinent continues to celebrate Ramadan. The team held an alignment day last Wednesday to go through the goals for the next financial year. We followed this up with a round of golf which unfortunately (or fortunately for some!) was cut short due to lack of light. 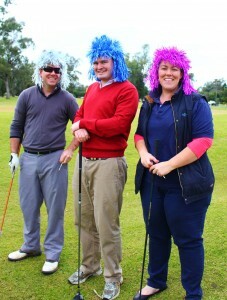 The losing team from each hole had to don the sparkly wigs and despite appearances the winning team was the Angry Birdies consisting of Chris, Jake & Erin. The Sultans of Swing (Steve, Rob & Brooke) lost only by a narrow margin. Sam was the official judge given the imminent arrival of her baby in a few weeks. Grain markets continue to react to any change in weather outlooks for the northern hemisphere crops. Over the last fortnight corn in particular was developing a weather premium as the potentially record size US crop faced an extended heatwave heading in to the important heat sensitive pollination period. However, these fears have subsided with forecasts for a return to more normal weather patterns by the end of the week, with the majority of the crop reaching pollination after this time. Futures have weakened as a result. Wheat is also facing volatility due to weather, with the market now pointing to chances of rain for the struggling Western Australians adding to a rebound in global stocks. The wheat market is struggling to find direction with bullish and bearish factors competing for dominance. The US winter wheat harvest pushes ahead with some states reporting better than expected yields and others are reporting disappointing results. More recently, potential larger global stocks is being countered by news that Russia and India have overestimated their production, while strong demand from China, which has been providing support to the current market, may be limited longer term as the Chinese crop is apparently reaching record levels. As weather continues to take such an important role in market direction our outlook over the coming weeks remains uncertain. Cotton markets continue to fluctuate within the well-defined range between 82 – 89 USc/lb, with the stronger run of last week being replaced with a more negative tilt following a generally bearish USDA report last week. The December contract, which current crop is being priced against, is currently holding around 85 USc/lb, while the May 14 contract, which is used to price new crop, is lower around 83 USc/lb. Despite a softening in futures values demand from mills remains limited, the result being that basis is actually weakening in tandem with the falling futures. The performance of the Aussie dollar continues to lend support to domestic prices, however recent forecasts are suggesting current lows of 0.90c are now the support levels for Q3, with a sustained push in to the 0.80’s more likely to be later in the year. Domestically, strong values for old crop grain are still available, with support continuing to stem from domestic feed markets, however prices have retreated from the highs seen over the course of the rally. Homes for on farm parcels that can be moved in to Northern markets are now being pushed out to August/September delivery, while parcels in the system are steading around $310 track for most grades, with a premium for site Moree north still available. Sorghum stocks are now becoming more readily available after a difficult run with harvest over the last few months, however high moisture remains a persistent problem. While at the start of the month buyers were able to handle borderline moisture simply out of necessity due to very limited stocks available to them, as more stocks begin to come on line their ability to take more moisture is drying up. Genuine SOR1 is still highly sought after. New crop values remain strong and should be considered for those growers who have been lucky enough to have a good run with recent rains. Wheat values have managed to remain above $290 track at the moment for both Brisbane and Newcastle. Canola is currently $542 NTL Track, off the highs of a few weeks ago of around $570. New crop faba bean prices are also of interest, in a range of $340 – $350 XF for no. 2 grade or better, depending on location. Please call the office with any pricing enquiries you might have. December wheat closed up 2.25cents on the back of strong demand for feed and reports of the Chicago crop quality issues due to heavy rain. Harvest pressure is limiting gains as the Eastern cornbelt harvest is progressing, along with the western plains. There are however rain delays in Illinois, Ohio and Michigan which won’t affect production but could lower test weight and increase risk of disease. Black Sea origins continue to offer cheaper wheat than US at present, with rumours that the Black Sea sold 450 000mt into Iran last night. December corn closed down 0.25cents with mixed news against the December contract. The new crop market is watching and trading weather daily with concern that hot and dry conditions will create crop stress and production decline in parts of the corn belt as the crop is coming into the critical pollination stage. Rains in parts of Illinois overnight could see the crop through the pollination stage. Soybeans were mixed overnight with old crop contract months closing lower but the November contract closed up 8.5 cents on the back of weather and production concerns. Sorghum harvest is continuing again as growers are taking advantage of fine weather to harvest, however for the most part moisture levels are still high and this grain requires drying of some sort. Locally into the packer, demand is thinning with buyers filling existing shipments and no more sales are being made into China, which is where the strong demand this year has stemmed from. We still have some demand although is becoming very limited. Domestic sorghum demand has also slowed as consumers have switched to wheat in rations. At current sorghum/wheat values they view wheat as the more economical or cheaper alternative and are sourcing predominately through the trade who are still sitting on large volumes in the Newcastle zone. Wheat demand into Brisbane has also slowed and the highs of $356/mt delivered or $300XF for NNSW/border region growers have disappeared too. Prices at the moment are more like a $335-340/mt delivered for August/Sept delivery and we are struggling to find prompt wheat homes. Looking towards new crop, there is still an inverse in the domestic market however new crop this week has traded at $250XF in the north for ASW or better. Cotton overnight had slight gains however the rally in the AUD has negated this move and prices today are unchanged at $488/bale for 2013 and $487/bale for 2014 crop. We are still taking market orders and overnight $450/bale USD was triggered. As most gins are thinking of winding down, we are seeing more balance-of-crop enquiries. ECOM are happy to price on this basis, please call to discuss. A positive market in the US overnight was buoyed by positive demand for grain and oilseeds, and a questionable weather outlook for the next 2-3 weeks. The western corn belt of, Nebraska, Kansas, Missouri and Iowa, is expected to receive minimal rain for the next 10-14 days, and temps are expected to increase putting pressure on developing crops. The eastern corn belt of Illinois, Indiana and Ohio are expecting only moderate increases in temps, but with scattered showers and soil moisture in the area expected to enable both corn and soybeans crops to continue reasonable development. The corn crop is progressing well, with 68% of the crop considered good to excellent, whilst silking, remains behind the 5 year average by 14%, a sign of the lateness of the crop, and its vulnerability to high temperatures and moisture stress as the crop enters its key reproductive cycle. Soybeans advanced on confirmation of another sale of 120Kmt into China for 13/14, and tight ending stocks keeping domestic US basis firm. The soybean crop condition was released, unchanged from last week at 67% good to excellent. Wheat’s positive finish was attributed to the purchase of another 840Kmt of Chicago style Soft Red Winter wheat by the Chinese. The USDA are now talking up the possible import of wheat by China reaching 6.5 – 7.5mmt, more than double that forecast just a couple of weeks ago. The cotton market was hung up on a lower volume trading day. The December contract finished only 30pts higher, buyers pushed the market up from its lows to near 86 cents, but seller seemed to have the upper hand for most of the day, keeping gains under wraps. Ecom’s prices today are $488 for current crop and $487 for new crop, US dollar and On-call contracts might just be the option to help you reach the $500 everyone is searching for. The Aussie found some support overnight, putting on a cent in the European and US Trading session’s, profit taking seemed the main reason, with a significant amount of resistance at the .9040 level, where it has held its ground on a number of occasions recently. Mr Bernanke speaks towards the end of the week, and our unemployment figures will be the data to listen out for, and hopefully provide our currency with a clear direction. The grains market has continued to recover following last weeks USDA report which pressured the markets into their most recent lows. The wheat market was buoyed by the reported purchase of 300,000 mt of US wheat. Total purchases from the US for 13/14 crop now total 1.5mmt, whilst we also got a look in with 300,000 mt of Aussie wheat also reported to be sold into China overnight, a sign that China are looking to diversify origination of grain stocks. Soybean demand remain strong domestically in the US with continued good crush margin, and meal demand, whilst the export demand has switched back to South American beans. The corn markets traded higher for most of the day on reports of China again figuring in the mix with a purchase of some new crop US Corn, but the bearish weather outlook taken by most kept a lid on any real gains in the market. Many Corn and Soybean bulls are looking ahead to Mid July, when the weather is expected to bring hot temperatures to a large portion of the Western Corn Belt, which without rain prior could stress some crops. The cotton market continued a run up on a light volume, and bullish commodity markets, which also saw Oil through the $100 US/barrel mark. Approx 14.7k in contracts traded during the session, the Dec/March spread has continued to tighten, with the 14 crop contracts of March, May and July advancing further than the December contract. The backwardation in the market looks set to return to carry, with cert stocks remaining heavy, at over 600,000 bales. Ecom are bidding $491 for 13 crop, and $495 for 14 crop, and have been taking orders for both years crops at $500/bale. The Aussie dollar has come under some additional pressure in the last couple of sessions, taking out the September 2010 lows hitting 0 .9036 during trading overnight. Our commodity linked currency remains out of favour whilst the discussions regarding the tapering of US Government Stimulus, and slow down of the Chinese economy continue. Domestic new crop prices have strengthened following the weakness in currency markets, and the lift in commodity markets internationally. 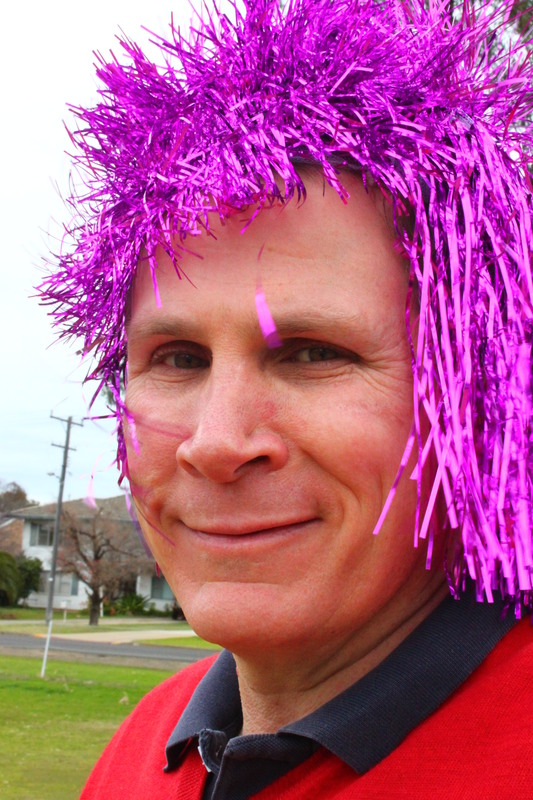 New crop wheat is $286 Newcastle / $284 Brisbane. We are continuing to look for Sorghum 1 for delivery into Narrabri, with homes for out of spec grain starting to dry up. Old crop wheat prices are continuing to hold reasonably well, but a number of buyers are reporting a slow down in demand for feed grades, as homes begin to fill ahead of our new crop harvest. High protein on farm is beginning to receive some interest in the packing market, as the international market prepares for a possible reduction in milling grades of wheat. Ring the AgVantage team if you have a parcel that you would like us to price.